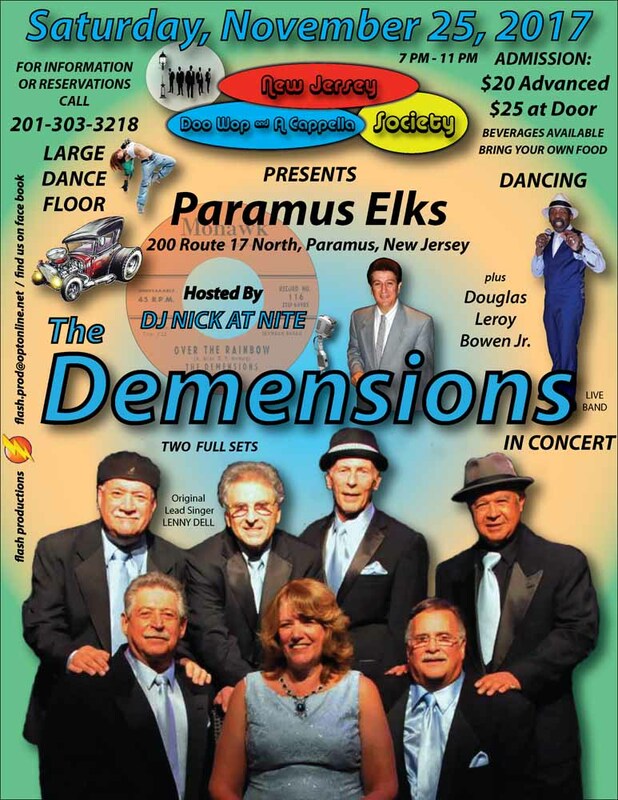 On Saturday evening, November 25, 2017, the New Jersey Doo Wop & A Capella Society will feature, live in concert, Lenny Dell & the Demensions along with Douglas Leroy Bowen Jr. The group will be singing two sets. It will take place at the Paramus Elks Club, 200 Route 17 North, Paramus, NJ, from 7 – 11 PM. Hosted by Nick at Nite. Large dance floor. Beverages are available, bring your own food. Admission is $20 in advance, $25 at the door. For information or reservations, call 201-303-3218.